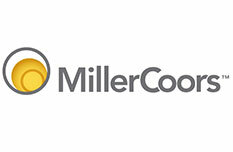 One of the largest and most popular brewery tours in the nation, the Miller Brewery Tour covers the grounds of MillerCoors’ Miller Brewing plant, Wisconsin’s largest with an output of over 10 million barrels per year. The brewery sits on land purchased by Frederick Miller back in 1855 and fermentation has been happening here ever since. Beers such as Miller Lite, Miller High Life, Miller Genuine Draft, and Milwaukee’s Best have been churned out for decades here; with mergers and acquisitions, Leinenkugel’s and Coors products are brewed in the Miller Brewery, as well as a ton of “old school” brands by contract: Pabst, Schlitz, Blatz, Old Style, and more all still exist as brands but are brewed by Miller. 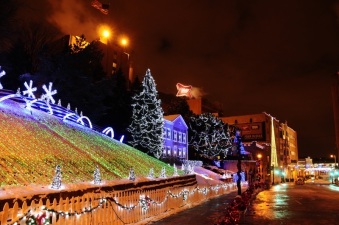 “Miller Valley” lights up with an animated display during the holidays. The Miller Brewery Tour begins at the Visitor Center along State Street, which of course includes a large gift shop along with historic exhibits on Miller’s history here. After a 15-minute film describing the company and art of macro-beer brewing, the tour offers a look at the bottling and canning lines (you’ll hear “Laverne & Shirley” references on this part of the tour as sure as you’ll hear “Caddyshack” references on golf courses) and then a view of the shipping and distribution warehouse, which is the size of four football fields and features forklifts plying the aisles hustling that beer into ready trucks and trains. A stair climb up across the street gives a view from above of the shiny copper brew kettles, and then a walk underground allows people to check out the historic Miller caves, where beer was chilled with ice cut from area lakes before mechanical refrigeration made the process a bit easier. The tour wraps up with a trip to the Miller Inn, a Bavarian-style bar where free samples of MillerCoors beers fresh from the line are offered up. The hour-long tours are free and offered every half-hour six days a week.